If you recently brought your new dog home, and now you’re about to embark on some basic dog training 101, then I want to applaud you. Unfortunately, many new dog owners spend the first few months just playing with their new dog and attempting some basic housetrainng maneuvers — paying little to no attention to actually training the dog. However, as you know, dog training should begin on Day One — the same day that you bring your new dog home. Hopefully, you’ve got plenty of free time in your schedule for the next few weeks because your new dog will require a lot of extra attention during this time. Also, keep in mind… how you act around your dog during his first days at home are crucial to your dog’s future. These days will set the tone for how you expect your dog to behave in his new home and what you will (and won’t) let him get away with. Sure, puppies are puppies, and they can be expected to grow out of some typical puppy behaviors like nipping and jumping up on people. But if you don’t lay the foundation now for how you expect your dog to behave in your home, then it will be much (read that again: MUCH!) harder to train him to co-exit peacefully in your home later as an adult dog. So I encourage you to use the dog training tips and tricks below in order to form a strong relationship between you and your dog while teaching your dog some good dog behaviors that will last a lifetime! There are 2 types of dog training: Behavioral (preventing or correcting bad habits) and Obedience (teaching basic dog commands). Dog obedience training revolves around the most basic commands that every dog should learn in order to co-exist in a house with with people (rather than in a pack with dogs). The dog commands you use to communicate with your dog are so important; they could actually save your dog’s life. Teach your dog to heel – how to train your dog to walk beside you, rather than pull you when on a leash. Teach your dog to sit – how to train your dog to sit on command. Teach your dog to lie down – how to train your dog to lie down on command. Teach your dog to stay – how to train your dog to remain in one place — either while sitting or lying down. Teach your dog to leave it – how to train your dog to ignore something that he would love to interact with. Teach your dog to speak – how to train your dog to bark on command… and be quiet on command. Dog behavioral training revolves around a variety of dog behaviors that can range from being simple nuisances (like puppy biting & nipping) to more destructive actions (like chewing everything in sight). Dogs need to be taught not to do these types of behaviors. 10 bad dog behavior myths – important facts vs myths about bad dog behaviors. How to stop bad dog behaviors – everything from barking and biting to jumping and chewing. Is your dog nervous around guests? – how to get your dog comfortable with visitors coming to your house. Dog crate training – here’s how to teach your dog to like his kennel and to enter and exit on command. Train your dog to be ‘caught’ – do this so you’ll be prepared in case your dog ever escapes or gets loose. Loose leash walking tips – how to get your dog to stop pulling on the leash once and for all. Fearful & nervous dog tips – what to do when your dog won’t relax and always remains on guard. House training is one of the most common training problems that dog owners face. Even if your dog eventually gets the hang of going outside to pee and poop, there are still bound to be incidents and accidents. 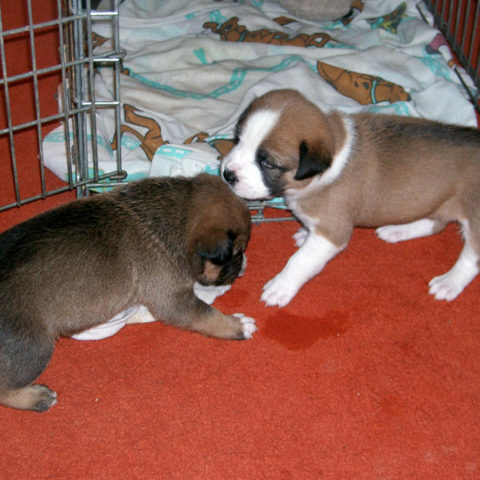 Dog incontinence advice – tips for dealing with an older, incontinent dog. Train your dog to pee or poop on command – how to get your dog to go outside when it’s most convenient. House training an older dog – special tips for dogs who can’t seem to quit having accidents in the house. Dog litter boxes work! – it’s a modern way to housetrain a dog not to pee or poop in the house. Teach your dog to ring a bell to go outside – the best dog bell housetraining tips all in one place. How to stop a dog from peeing on the carpet – get a handle on this quick, before the urine smell sets in. Preventable dog potty accidents – things you can do to keep your dog from peeing or pooping in the house. Need A Professional Dog Trainer? Sometimes dogs and their owners need a little extra help from someone who knows what they’re doing when it comes to dog training. I can attest to the fact that I have called on the help of professional dog trainers and other experts in the field several times in order to solve a variety of dog behavior issues. Get professional help over the phone – we’ve utilized the services of Suzy Godsey on the phone. 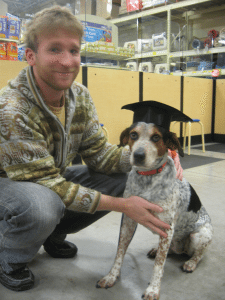 How to find a professional dog trainer – tips for finding a reliable expert to help you with dog training. Get 3+ hours of dog training with Cesar Milan – DVD set with all the best tips for choosing the right dog. 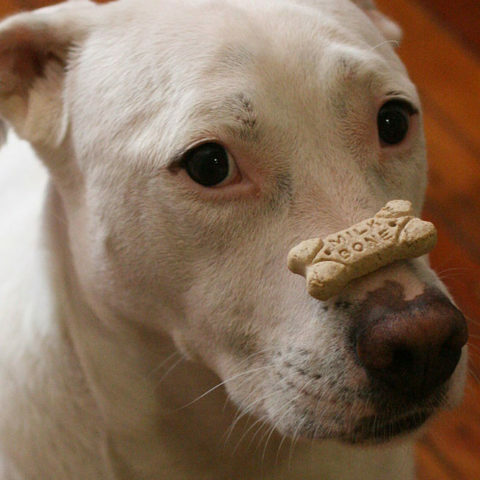 Dog tricks are those “extra” things that you and your dog can do together to impress your friends and neighbors. They are not the same as dog commands — which are essential words and behaviors that ultimately impact your dog’s safety and your own peace of mind. 101 dog tricks – start here if you’re looking for fun new tricks to teach your dog. How to teach ANY dog ANY trick – all the best tips for successfully teaching dog tricks. Fun dog tricks to teach your dog – huge list of dog tricks with photos and step-by-step instructions. Make this dog do tricks – type in commands and the dog on your computer screen will do them! More dog training tips here!